Watsons on the Web sources high quality, innovative home and leisure products and have designed and produced products for well known High Street retailers for many years. We also have a wide range of gifts including decorative items and housewares plus top quality jewellery items made from precious stones, natural coral and abalone shell. As we produce most of our products ourselves in factories all around the world and sell direct to you, our prices are the best value you will find. Our product selection is increasing every week as we extend our ranges and product groups. 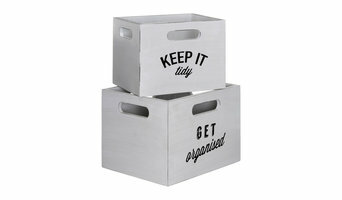 We love to declutter and organise. Have a room or a space that you just can't face? Let us help you de-stress, and focus on more important tasks, while we do all the hard work! Contact us today for your FREE no-obligation consultation. Domestic & commercial self storage solutions in Newton Aycliffe. What do Newcastle upon Tyne, Tyne & Wear professional organisers and storage designers do? A Newcastle upon Tyne, Tyne & Wear professional organiser can declutter your home and help you organise your possessions and furniture in a way that fits with your design vision. A home storage designer, on the other hand, can be hired to design custom wardrobes, shelves or other storage solutions to give you the exact storage space you need in your home. Some Newcastle upon Tyne, Tyne & Wear professional organisers will be able to coach you in how to declutter your life, as well as your home, so that you will learn how not to clutter or hoard anything in future. This is a great idea if your home is in need of a complete overhaul and you think that you have a problem with clutter and letting go of old possessions. Or, perhaps you have one particular room that has become overcrowded with clutter, such as the spare room, office or utility room, and needs some serious decluttering attention from a professional. Moving house is always a stressful time and can be made worse by having to deal with all the clutter, jumble and bits and bobs, so it could be worth hiring a professional organiser in Newcastle upon Tyne, Tyne & Wear to help you with your move and make sure your new home looks neat and tidy in no time. You can search for Newcastle upon Tyne, Tyne & Wear professional organisers with Houzz, see their previous projects and read reviews online before you contact them about your project. Storage designers can also work with your whole home, but more often they will work on specially commissioned pieces or storage solutions for a particular room. Some of us are guilty of hanging on to our clothes for a bit too long so we end up with overflowing wardrobes and chest of drawers fit to burst. However, with bespoke wardrobe designers you can have bedroom storage solutions created to fit your clothes collection and work with your bedroom design. Or if you need some help organising your home office or study, then a home storage designer can design custom shelving or storage units to help you stay on top of paperwork, files or books. So, whether it’s clothes, papers, books or perhaps photo collections, memorabilia or keepsakes, a professional storage designer will be able to come up with a custom storage space to give them a stylish new home and help you learn how to declutter your house. If you’re thinking of hiring a Newcastle upon Tyne, Tyne & Wear storage designer or professional organiser when moving into a new home, you may want them to discuss your design ideas with any other professionals working on your house project to make sure your storage solutions work with the rest of your design. Here are some related professionals and vendors to complement the work of home storage designers & professional organisers: Interior Designers, Furniture & Home Accessories, Design & Build. 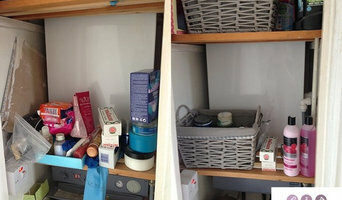 What professional organiser or storage designer services do you offer? Have you worked on similar projects to mine? Can you create bespoke storage items for my home? Will there be a written contract? When can you start and how long will the project take? How will you teach me how to declutter and maintain home organisation? Will you ask me to throw items away? Will you choose materials and colours for my storage solutions or will that be up to me? Find a professional Newcastle upon Tyne, Tyne & Wear professional organiser or storage designer on Houzz. Narrow your search in the Professionals section on Houzz to Newcastle upon Tyne, Tyne & Wear storage designers and organisers or look through storage and wardrobe photos and contact the professionals that worked on them.